Everyone deals with problem skin at some point in their life – some longer than others – and finding the perfect remedy can be costly and time consuming. After a few weeks of using the cheap cleansers, you would spend more money trying to restore moisture to your skin. It was a never ending battle. Thankfully, beautiful skin isn’t reserved for those blessed with good genes, or access to expensive facial treatments. 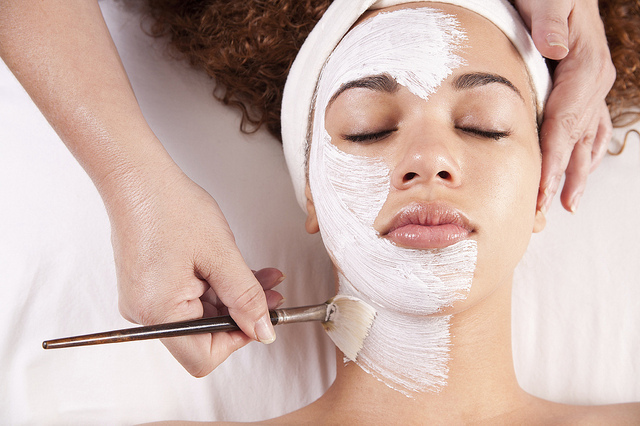 You can treat your skin to a pampering facial using what you have in your kitchen cabinets. Let nature work its magic on your skin issues this weekend. The citric acid present in lemon helps keep the skin clear by removing dead cells, and its vitamin C content helps reduce dark spots by increasing the cell renewal process. Lemon also has bleaching properties that will help improve your overall skin complexion. The method couldn’t be easier; simply apply fresh squeezed lemon juice to your face and neck, leave for ten minutes, then wash off with lukewarm water. Next, rub cucumber slices on your skin to soften and moisturize. Do this once every other day. This is the best solution available until you can get a discount on a facial treatment mask with a bloomingdales coupon code. The worst-kept dermatological secret in the world is aloe vera; not only does it soothe sunburns, it can clear even the most stubborn acne. Aloe vera has antibacterial properties that help kill bacteria that cause acne, anti-inflammatory properties that help soothe irritated skin, and astringent properties that help heal scars. Plus, it moisturizes the skin and stimulates new skin cell growth. Don’t worry if you don’t have a plant on hand, as aloe vera gel will work just as well. Several times a week, rub the gel onto your skin with a cotton ball, leave for a few minutes, then rinse off with lukewarm water. It may take a few weeks to see results, but in the meantime your skin will certainly feel softer. Tea tree is often mentioned as a solution for stubborn acne and oily skin conditions. Tea tree essential oil acts like a solvent and cuts through dead skin cells to unblock pores. Its antibacterial properties also kill off the acne causing bacteria, and prevent further outbreaks. Make sure to dilute it before use (one part oil to nine parts water). First you should wash your face with warm water. Then, simply apply the tea tree solution to problem areas using a Q-tip. If you prefer, you can apply a light layer of moisturizer. One of the many benefits of water is that it can purify the impurities in your skin, get rid of dryness and wrinkles, and remove excess oils and dirt. Drinking at least 2 liters per day gives the skin a bright, noticeable change in less than a week. Water also helps your kidneys flush out toxins, hydrate your brain to improve concentration, and can help you lose weight.